Carrying handle option. Roll cage option. 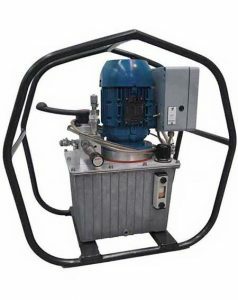 HYDAC Electric Hydraulic Tensioning Pump is a compact hydraulic power unit that has 2 functionalities (high pressure – low flow and high flow – low pressure) depending on the load, and it’s built into the radial piston pump. 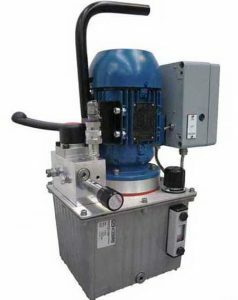 The unit comes with a manual directional control valve, a bleed down needle valve (to control lowering speed) and a remote pressure control valve. An optional roll cage or carrying handle are available upon request. 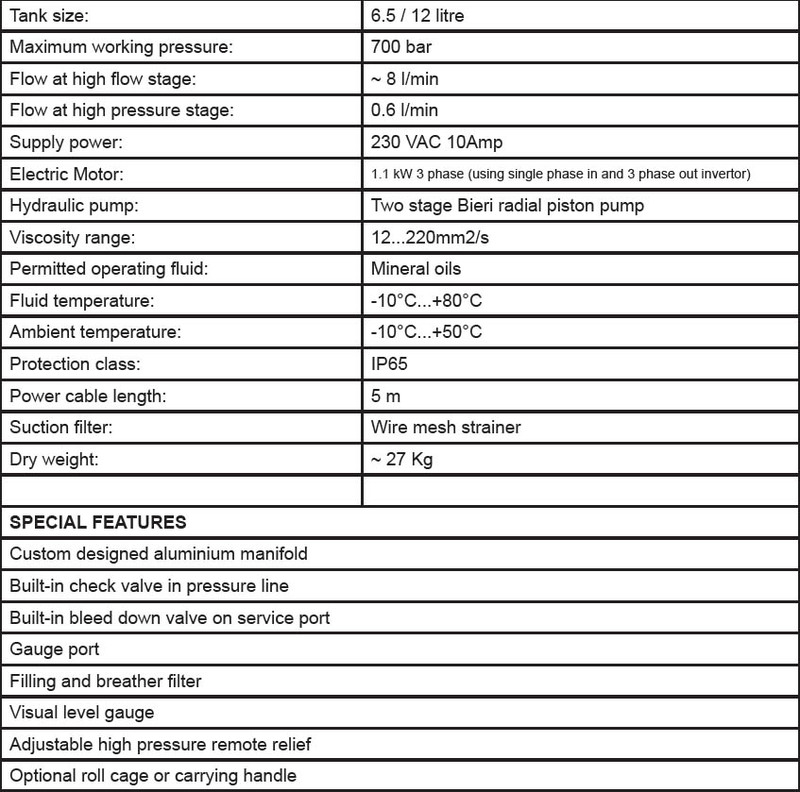 The power unit can be assembled with 6.5 litres or 12 litre hydraulic tank.